The Hall consists of the main hall, skittle alley and foyer. Partial hire is available for some room combinations. Please go to the Village Hall’s own site to contact us to find out how we can help. Alternatively, call Carol Chappelle on 01934 830553 or 07825 001282 or Ed Brooks on 07778 517771. The ‘new’ village hall was opened in June 1978 and is located in the centre of the village opposite the church. Extended and improved, it was reopened in October 1999 in advance of the Millennium celebrations. Central to many village events, such as the annual Kingston Seymour Village Show, the hall has several spaces available for hire. 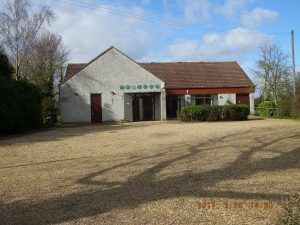 The main hall is used by many village clubs and organisations and is ideal for activities such as badminton, fetes, jumble sales, wedding receptions, parties, dances, presentations etc. There is a large foyer furnished with comfortable seating ideal for meetings and small gatherings. We use this space as a regular meeting venue for the Parish Council and The Village Hall Management Committee amongst others. Additionally we accommodate the community Post Office each Tuesday morning. Unusually, the village hall also includes a room with a skittle alley which is highly valued by Kingston Seymour residents and is used on a regular basis by our skittle teams. It is however, also available for hire either for skittles, or as a social space along with the rest of the hall. The licensed bar serves all areas of the hall and there is a newly refurbished commercial grade kitchen available. There is also plenty of parking.